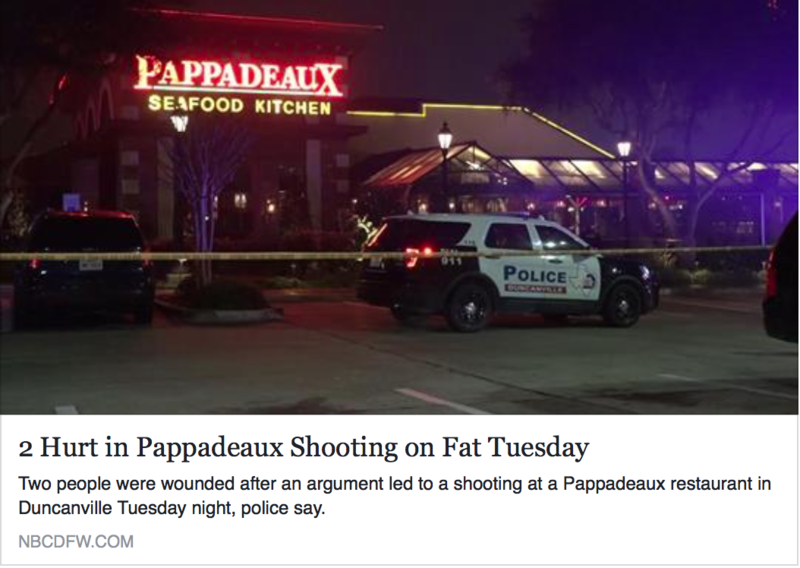 Our very own Dr. B was asked to provide professional insight to NBC 5 about treating victims of trauma following a shooting on the evening of February 13, 2018 at the nearby Pappadeaux restaurant in Duncanville. Among the witnesses was the Harmony Marketing Manager, Summer Galvez, who also happens to be a client that sought therapy immediately following the incident. We were also cited by WFAA Channel 8 in their news story as a resource for counseling for those involved. Our Counseling Center stands available to assist any victims of this traumatic event, and we are grateful to be called upon to help guide these important conversations in constructive ways. We invite you to read and share the articles and videos featured below. If you or someone you know is in need of counseling, please contact us at (214) 751-3932 or request a session by clicking here.